2017 is the year of new releases that are full of books that contain adventure, romance, horror and excitement and I happened to stumble upon a new release for this year called “Caraval” by Stephanie Garber and I was seriously blown away by this book! Scarlett Dragna has lived on a tiny island for most of her life, along with her little sister Donatella Dragna and her cruel and powerful father Governor Dragna. One day, Scarlett’s father has decided to arrange a marriage between Scarlett and a Lord that she does not know and even though Scarlett believes that this would be the only way to escape her miserable life on the island and her abusive father, Scarlett still thinks that something is missing from her life. It wasn’t until that very day that Scarlett meets a roguish and mysterious sailor named Julian who offered Scarlet the chance to visit the place of Scarlett’s deepest dreams: CARAVAL! Even though Scarlett was unsure about going to Caraval because she feared that her father will punish her severely for her disobedience, Scarlett decided to leave the island once she finds out that her sister Donatella had suddenly vanished from the island. So, Scarlett and Julian set out to the mysterious island of Caraval to find Donatella; but once Scarlet gets to Caraval, she will soon discover that her sister Donatella is a part of some sort of sadistic game where whoever finds Donatella will be able to receive a wish from the legendary magician Legend himself! So, Scarlett and Julian try to compete in the game in order to find Donatella before it is too late! Wow! 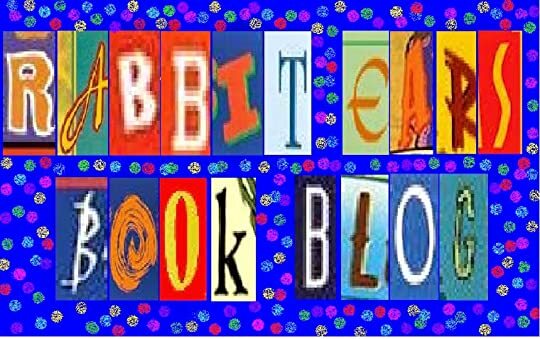 Stephanie Garber has truly woven a truly magical and intense story about the importance of sibling love while also exploring the importance of true love! 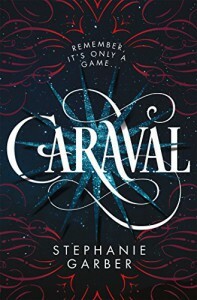 Stephanie Garber has done a brilliant job at detailing the magical world of Caraval as the concept of this world is that everyone is doing a performance for the people and you have to decide what is real and what is not real in order to survive the game! I loved the fact that this book focuses on a carnival theme as it is rare for me to read a young adult book that involves carnivals and games as a major plot of the story. I loved the way that Stephanie Garber focused on the sisterly relationship between Scarlett and Donatella as it is also rare that I had read young adult books that focuses mostly on the relationship between siblings and I loved the fact that Scarlett truly does care about her sister Donatella and is willing to put her life on the line in order to protect Donatella from any kind of danger in the world of Caraval. But what I loved the most in this book was the relationship shared between Julian and Scarlett! When I went into this book, I actually thought that this book was just going to be about the sisterly relationship between Scarlett and Donatella and while that was a major part of the plot, it was Julian and Scarlett’s relationship with each other that really sold me! I loved the fact that Julian and Scarlett both brought out the positive aspects in each other, such as Julian bringing out the bravery in Scarlett that she has held back due to her father instilling fear in her and Scarlett bringing out a softer side to Julian who was introduced as being aloof and not caring about who he hurts to get what he wants until he met Scarlett. Even though their romantic bantering was downplayed in this book, it was still interesting seeing how different these two are from each other and yet, they become quite a compatible pair! 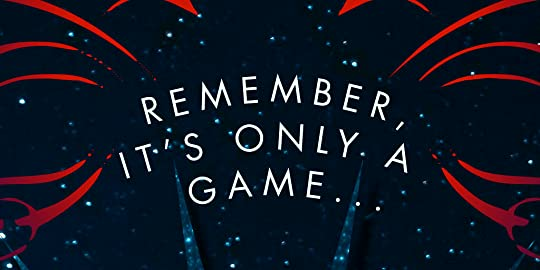 For anyone who does not like some language in this book, there is some language in this book, although it is not as strong as some other young adult books. Also, this book deals with the subject of child abuse as both Scarlett and Donatella are beaten up by their father for various reasons and that might be uncomfortable for some readers to handle. This is a bit of a small nitpick for me, but the fact that it turned out that Donatella put her own sister through the game and tricking her into thinking that she died to prove Scarlett’s love for her kind of rubbed me the wrong way. This made me see Donatella as being a bit manipulative towards Scarlett in making a deal with Legend without telling Scarlett and it made me question about whether or not Donatella actually cared about Scarlett’s feelings during the whole ordeal. Overall, “Caraval” is a wonderful book about the importance of sisterly love and anyone who loves reading books about siblings will surely enjoy this book! I will definitely be checking out the second book as soon as it is released!